LMOA Past President Bob Runyon was presented with the prestigious LMOA Lifetime Achievement Award on Tuesday morning, September 11, 2018 in Nashville, TN during the RSI/CMA Rail Expo and Technical Conference. 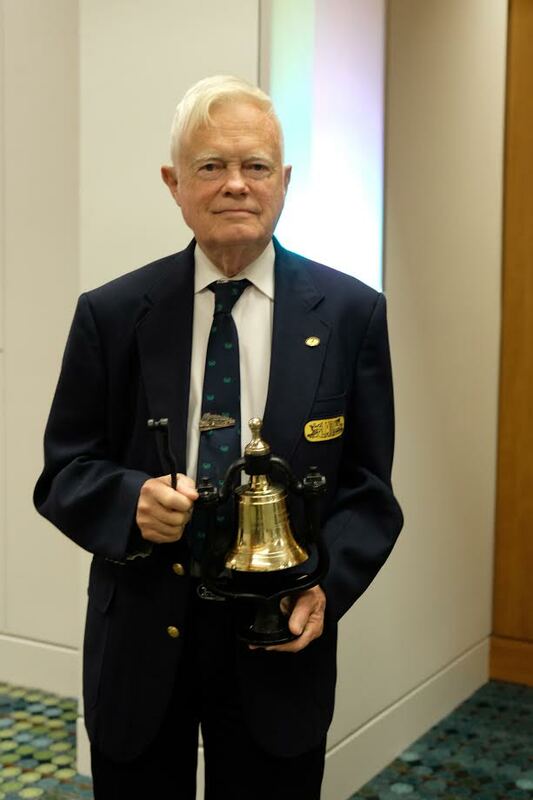 Past President Dave Rutkowski presented Bob an authentic locomotive bell during the ceremony. Bob was selected based on his devoted and dedicated service to the LMOA. He has been a member of LMOA since 1987 and was the chairman of the original New Developments Committee in the 1990s. He elevated through the executive ranks of LMOA and was elected President of LMOA in 2002. He began his railroad career in 1970 with the Norfolk& Western Railway Company as an Assistant Engineer and held the position of Engineer-Locomotive Design before retiring from the Norfolk Southern Corporation. Bob continues to provide valuable input and insight to member of the executive committee and for the good of the organization. Bob and his wife,, Nancy, have been married 56 years and live in Roanoke, VA. They have two daughters, five grandchildren and two great granddaughters.